When you become a registered member of G-7. Crown Trading Co. Ltd, you will get access to more than 100 auctions through the Internet, and can choose your favorite vehicle from about thousands options every day. Please register our membership at free of charge. 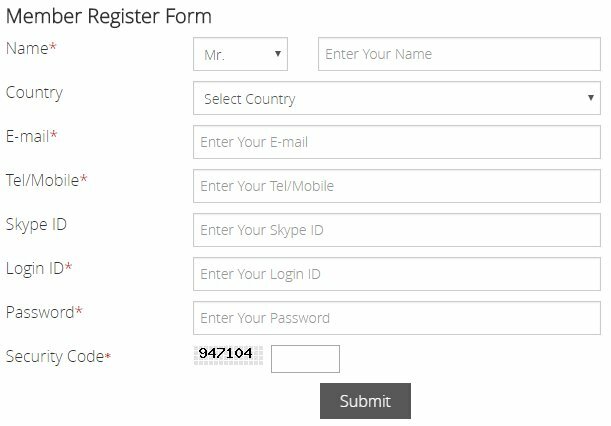 Please fill information in the member Register Form and then click on the submit button. When you decide to start bidding on cars from the auction, it is important to place predetermined amount deposit before you participate in auctions. (See below). Our buyers will bid on the car in place of you. 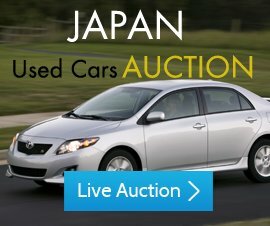 Without the deposit, we cannot bid on any of the cars. We will charge you only the price of the successful bid. So try to place as high bid as you can in order to increase the chance of successful bid. If for any reason you want to cancel the car after the succesfull auction bidding, cancellation fees applies a fine of deposit according to above table. Choose your favorite car from stock list. After select your favorite vehicle, you can see full detail of the vehicle and you can submit bid of that vehicle by "Make Bid" form. 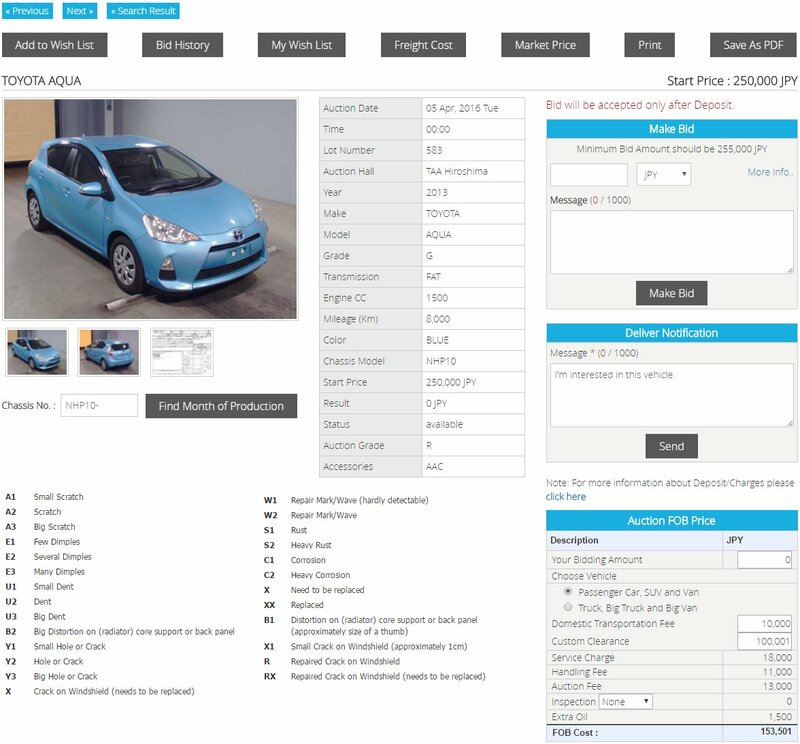 If you want to calculate FOB price of the vehicle you can use "Auction FOB Price Calculator". If you want to send inquiry of that vehicle then please use inquiry form. If the bidding is accepted, we will send you the invoice. If the bidding is not accepted, you can get your deposit back or use it for the next bidding. Please transfer full balance within 3 days from receiving the invoice. Or if you want to use your deposit for the next bidding, Please transfer the invoice value. We will arrange the shipment on the earliest schedule. We will send the shipping documents via EMS or DHL.